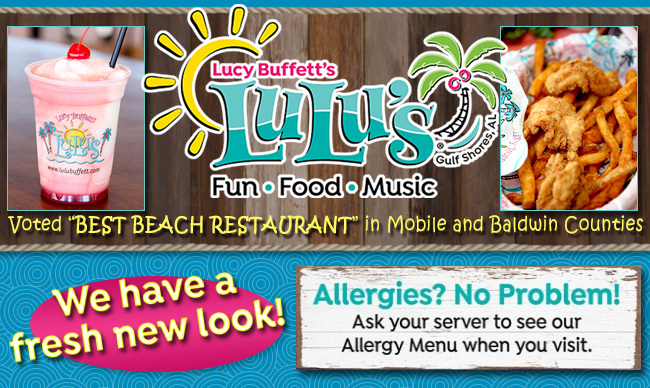 LuLu's is all about escapism and crazy fun! There are so many different elements that go into the experience- the fabulous food, great service, family friendly environment, fun shopping, new arcade, three-story climbing ropes course The Mountain of Youth, The Fountain of Youth, a beach for the kids, live music nightly and waterfront ambience- all in a facility designed to give a taste of the authentic Gulf Coast LuLu's Lifestyle. We rock out every night of the week! Come see our live music while enjoying one of our signature drinks. Click HERE to see who's playing on what night. 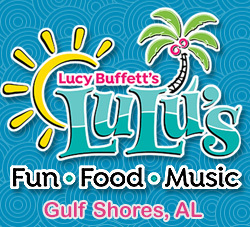 Get on LuLu's Gulf Shores waiting list before you arrive with a few simple steps! This is NOT A RESERVATION, but places you in line when we have a wait. We strive to do our very best in providing you information that will help you make the best food choices. If you have a specific ingredient concerns, please ask!